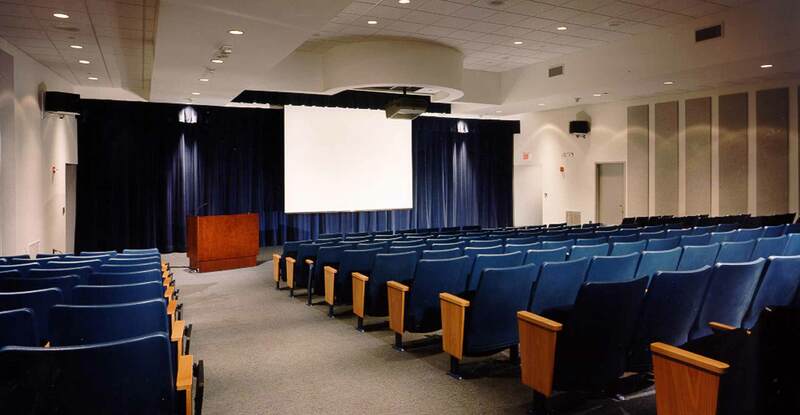 A new stepped classroom provides needed lecture hall space. 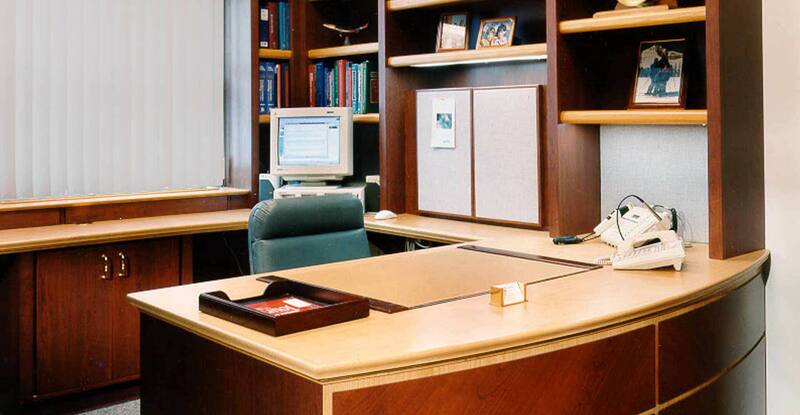 Features of physician offices in the McGiveny Center include custom case work, a concealed X-ray cabinet, a wrap-around computer works station and floor-to-ceiling bookcases. Warm, cherrywood cabinetry was used to transform the typically harsh, clinical areas into a more comforting environment.